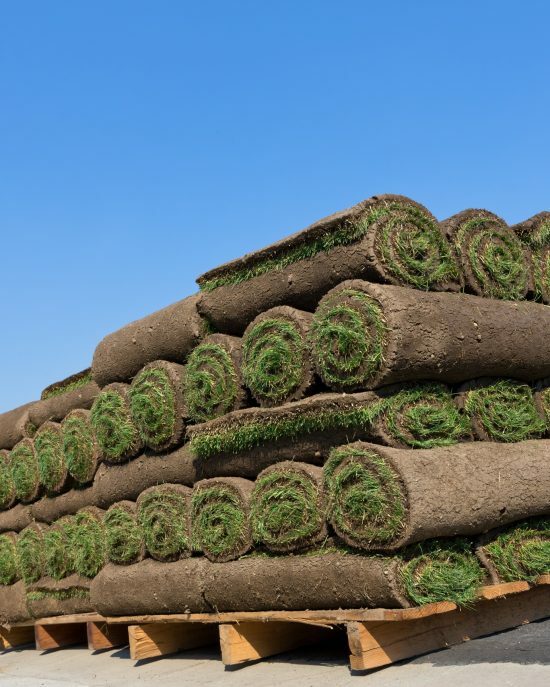 Measure length x width of area then divide by 10 (sod rolls are generally 10 square feet, 2’ x 5’). Order extra if there will be some waste from cutting. All old turf and excess debris must be removed. Turn the soil to a depth of about 4 inches. You can use a spade, plow or rototiller. Grade the area, either by power equipment or by hand raking. 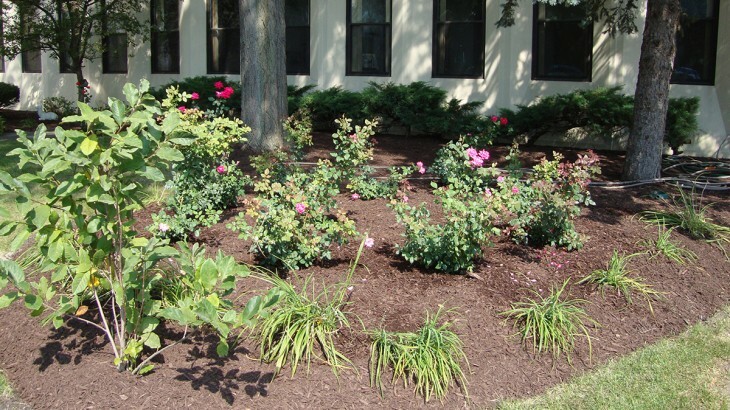 Fill the low areas with topsoil. It’s best to have gradual contour. Grade should be about 1 inch below sidewalks to allow for thickness of the sod. Apply a starter fertilizer to the soil. A 10-10-10 or 12-12-12 mix. Sod must be laid immediately upon arrival. Start at the property line or along the driveway or sidewalk. Roll it out and stagger the joints like rows of bricks. Make sure the joints are butted together not overlapping. You can cut the sod with a serrated knife. You can roll the lawn with a light roller before you water. Never roll after watering. 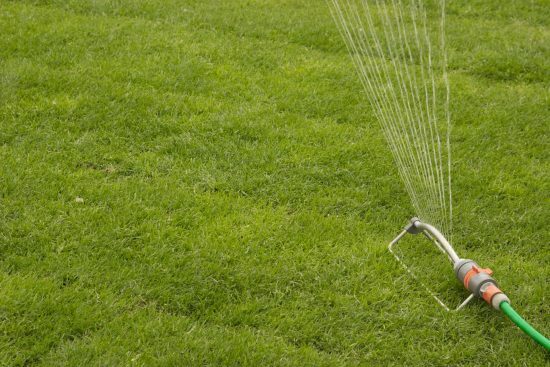 Water the sod immediately after installation with a penetration of about 6 inches. Sod must be kept watered until fully rooted. DO NOT LET IT DRY OUT. Water once per week after sod has fully rooted. Do not give frequent light sprinkles as this will lead to shallow root growth. Mowing can be done after the roots have taken. For best results, never cut more than 1/3 of the grass blade at a time. Keep the grass blade height to 2”- 2 ½”. Make sure the mower blades are sharp. During faster growing periods you may need to increase the frequency of your mowing. 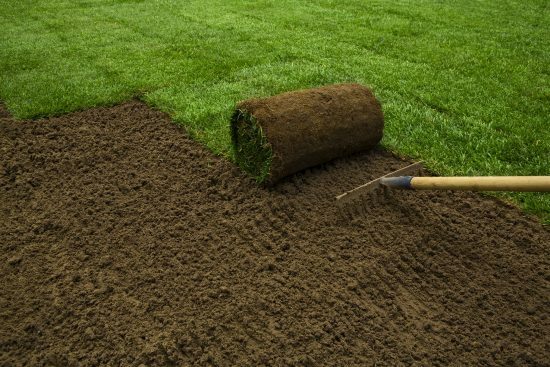 To insure that the turf stays healthy you must feed with a high quality fertilizer every 6 weeks. Follow manufacturer’s directions. 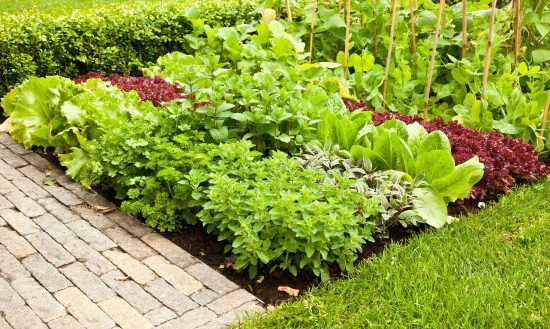 One of the hot new trends in landscaping is edible gardens. 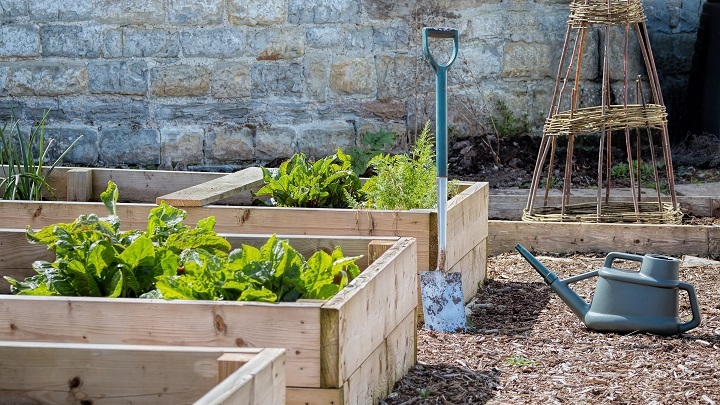 Not only will you save money on your grocery bill but your family will have fun gardening together. An added bonus is that you can feed your family pesticide free fruits, vegetables and herbs. All that’s needed is a small plot of land in a sunny location, just till and plant. 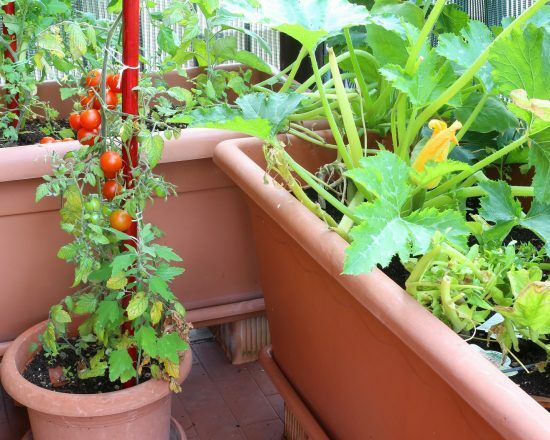 You can also opt for building raised planter boxes, or even easier, plant in containers on the deck or patio. 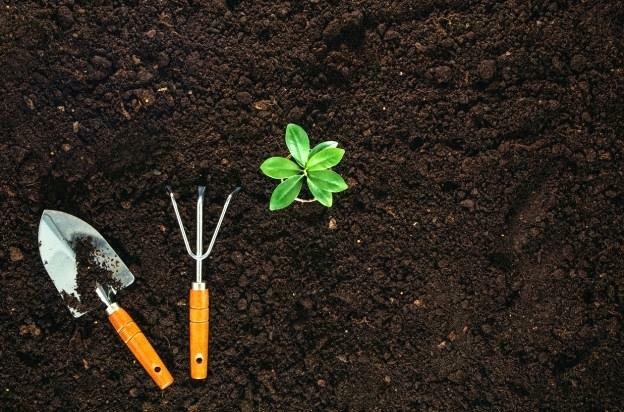 Make sure to add a nutrient enriched compost such as mushroom or leaf compost. This gives your soil an added “boost” without adding chemicals. You can start seeds indoors early in the spring, then you’ll have a head start when your ready to plant outdoors. Heirloom seeds are becoming more widely available too. If you have any questions, give us a call and we can offer suggestions and pointers. We can even deliver Mushroom Compost, Leaf Compost or a Blended Garden Mix.